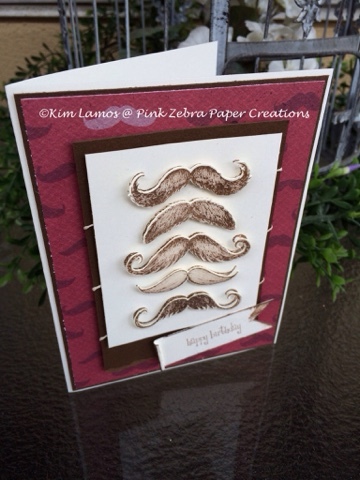 Today I want to share a card I made for a masculine swap I did. It would be appropriate for a Father's Day card, if you just change the sentiment. The mustaches were first stamped on the paper base. I then stamped them on a separate piece of scrap and die cut them. I then placed them on top of the base mustaches with pop dots. I finished them off by using a thin layer of Journey Glaze over the top. Enjoy your Father's Day.